Composer Eckart Seeber was born in the Austrian town of Innsbruck in 1963. He studied at the State Conservatory of Music in his home town, receiving a BA degree from the Simon Fraser University and MA degree from the University of Victoria. His teachers in composition and orchestration include such renowned names as Rudolph Komorous and Dr. John Celona. Seeber made the most out of his European heritage by building up on these traditions in his own music as well. 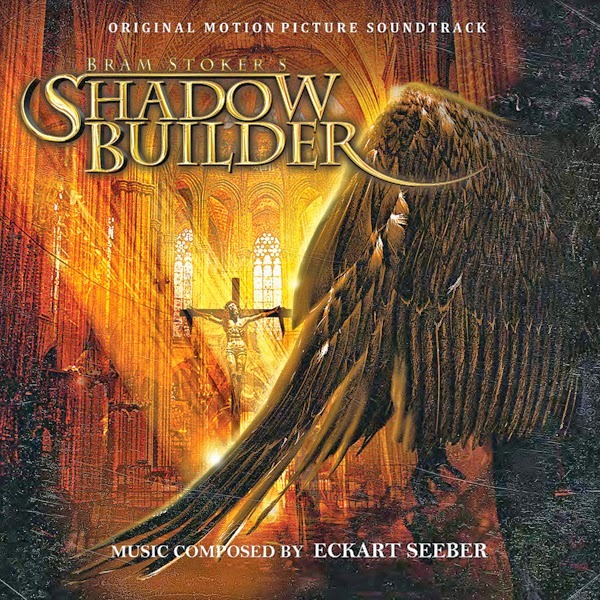 Citing composers like Rimski-Korsakov and Igor Stravinsky as his main influences, Seeber’s most critically revered score for Shadowbuilder was voted the 8th best score of Film Score Monthly in 1998. Seeber’s score for Shadowbuilder is an epic, Gothic orchestral score with a choir added in for the religious undertones of the film. The music features several memorable recurring themes, including the omnipresent Shadowbuilder theme for our titular villain or Vassey’s theme for the renegade priest in hot pursuit of the cult members. The music is also remarkable because after a previous score had been rejected from the film, the composer had 6 weeks to write all the music you hear. The score for Shadowbuilder was recorded by the Ukrainian State Radio and Television Symphony Orchestra and Chorus under the direction of conductor Vladimir Sirenko. A shorter version of this score had previously appeared on Seeber’s own Sonovide label, but this new release by KeepMoving Records contains the whole work with about 20 minutes of previously unreleased music, plus a handsome packaging with a 12-page booklet featuring liner notes by Gergely Hubai, discussing the creation of the film and score based on interviews with the director and the composer.